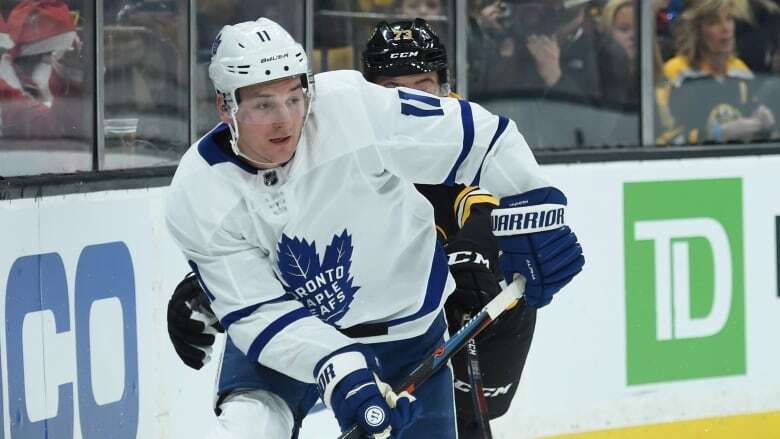 Toronto Maple Leafs forward Zach Hyman was suspended for two games by the NHL on Sunday following his hit on Boston Bruins defenceman Charlie McAvoy on Saturday night. Toronto Maple Leafs forward Zach Hyman was suspended two games by the NHL on Sunday for interference following his hit on Boston Bruins defenceman Charlie McAvoy a night earlier. Hyman had a hearing with the NHL department of player safety earlier Sunday and they announced the suspension later that night. Hyman was given an interference major on the play in Toronto's 6-3 loss in Boston on Saturday night. McAvoy had cleared the puck out from behind his own goal-line and was watching the play unfold when Hyman hit him, knocking the Bruins defenceman to the ice. McAvoy had already missed 20 games this season with a concussion. The suspension is Hyman's first in his 210-game career. Hyman will forfeit $24,193.54. The money goes to the Players' Emergency Assistance Fund.